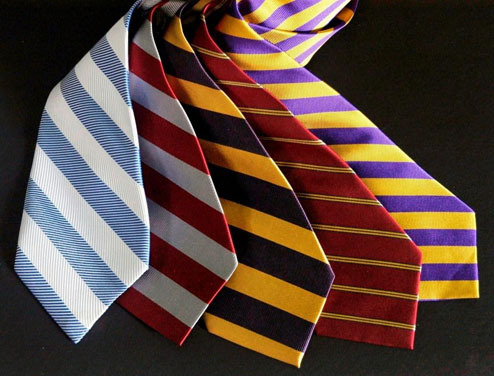 Wearing a tie is one of the key parts to a man completing his suit. There was a time when the rules of wearing one were so strict. Most work places demanded that a man wear a shirt and tie. Nowadays there are only certain corporate environments that make it a requirement. Most men today don’t even know that there were certain rules to wearing ties. It used to be that a man was supposed to wear a black tie with a dinner suit. If he wore a white tie it was worn with evening tails. This was so that they could distinguish who the guests were at a party versus who the waiter is. A tie is an item that no matter what a man’s social class or income level, he can always buy one. It’s an easy way to dress up or dress down what you’re wearing. Because so many don’t even look at the label of a tie, you don’t even need to spend a fortune on it. It’s the easiest way to express your creativity, personality and change the look of an old suit. Watch the video above as you’re taken through the process of how a man’s tie is made. If you’re into bowties, which aren’t as popular as the long tie, he’ll show how to tie a bowtie around the 5:40 minute mark of the video. The bowtie was actually the first from the 18th century before the long ties were created. The video is just over seven minutes long but there are some interesting tidbits of information.